One of the things that I’ve been saying for a while is that the City of Langley’s Downtown Core needs to become more focused on attracting people within a walking or cycling distance. This means that Downtown Langley should stop trying to compete with the likes of Willowbrook Mall and other regional retail centres. 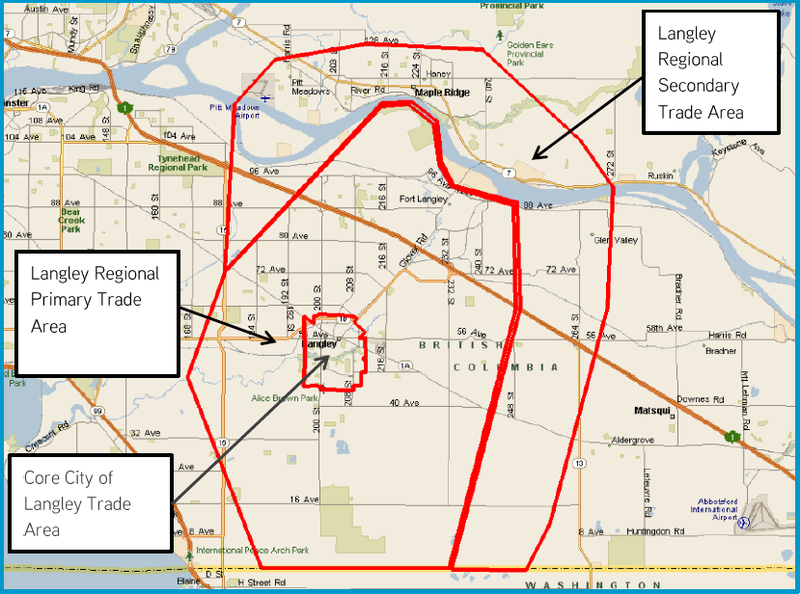 The City of Langley recently released a retail trade area analysis which seems to confirm that the local trade area for Downtown Langley is the City of Langley itself. 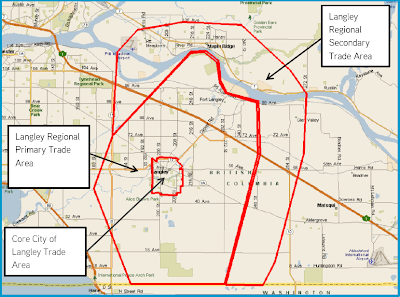 The City of Langley is a pretty small community and you can walk from one end to another in about 30 – 40 minutes. The study also notes that the City should encourage “and support additional residential development density in the City of Langley” which will be key to increasing the local service area for Downtown Langley. Besides focusing on density the study suggests that Langley’s Downtown needs to distinguish itself from other retail areas. The report spends a good amount of time talking about food trucks and pop-up retail, which is temporary small-space retail, and how they should be a key part of Downtown Langley's future. Overall, Downtown Langley needs to focus on creating a great pedestrian-friendly space where local people want to hang out. One of the odd recommendations in the study was for the Downtown merchants to validate or pay the Golden Ears Bridge tolls for people coming in from Maple Ridge. While this is an interesting idea, I have to wonder why someone from Maple Ridge would come to Downtown Langley when they could go to Haney. One of the interesting things that this study mentions is that Willowbrook Mall will likely be expanding to add a high-street as well as mixed-use. TransLink is also planning on building a new bus loop at Willowbrook. This should be a wake-up call to Downtown Langley that it needs to stop competing with the auto-oriented mall and focus on becoming a unique, pedestrian-friendly, and local retail area. If the Downtown is successful at that, people will come from the regional retail area to experience a genuine Downtown. A win-win.